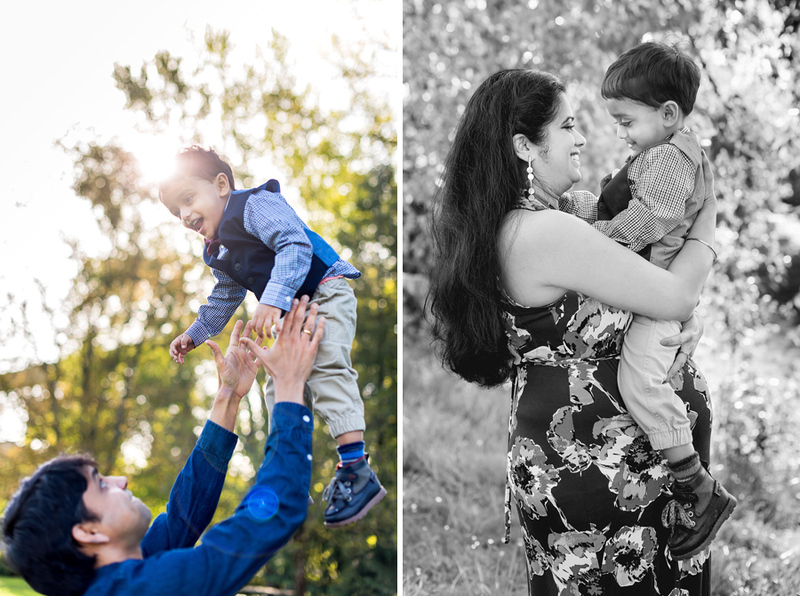 This was my second photo session with the Saripalli family. I met them last year when little Smayan was turning one-year-old. Now he’s going to be a big brother! 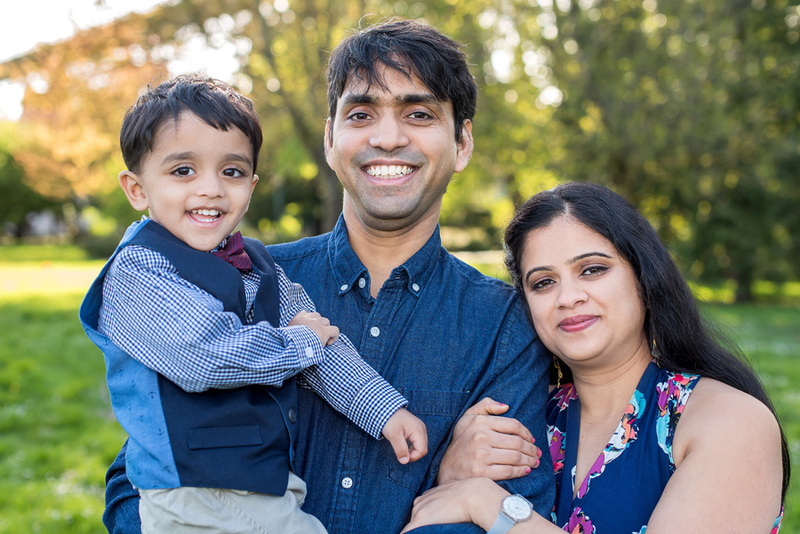 Neeraja and Satya are expecting number two in June. It will be a surprise if they are having a boy or a girl and I can’t wait to find out when we I do their newborn session. 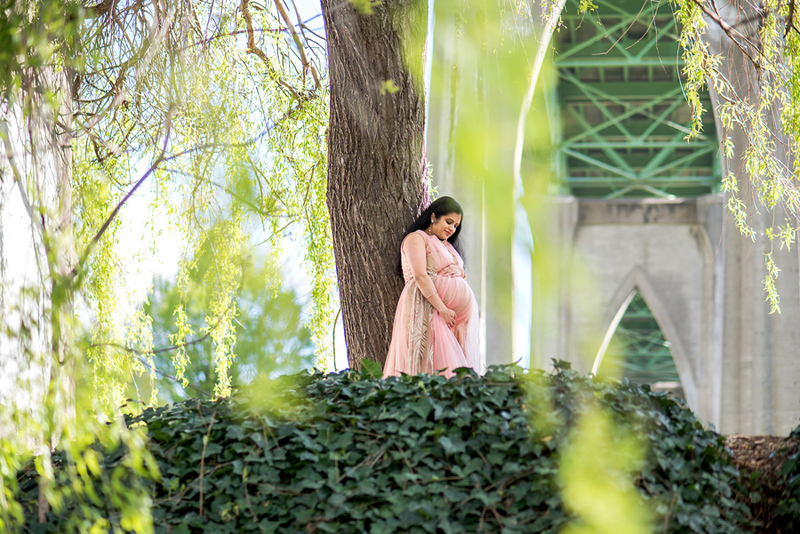 We did their maternity/family photo session at the lovely Cathedral Park in North Portland. We had beautiful Spring weather and enjoyed walking around under the gothic St. John’s bridge. Neeraja and Satya- It was great to see you and Smayan again. He was so adorable during this photo session. I can’t wait to see him in his big brother position soon. Good luck with the birth and enjoy the photos.